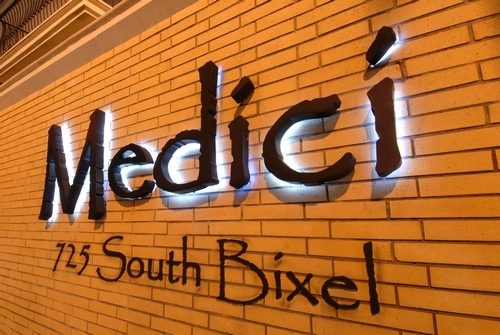 Medici! And other fancy apartment complexes... | Papyrus Watch - Exposing the overuse of the Papyrus font. Ben from Fontalicious (who's site you need to check out by the way, it's amazingly fantastic and has brightened my day just looking at it) sent us all these crazy-fancy-apartment complex in LA with signage all in Papyrus (I mean it, they're nuts, check out themedici.com and thepiero.com). All the millions of dollars spent building these and their logos or word marks should have been hand carved in stone.